Having studied golf courses all over the world with a noted interest in the "classic courses" of the 1920's, Geoff is engaged in design consulting at several classic courses and has taught golf course restoration at Harvard University's Graduate School of Design with noted architect Brian Silva. He has also addressed many groups on the subject of golf course design, including the American Society of Golf Course Architects, the Alister MacKenzie Society and the Golf Digest Panelist Summit. A collaboration with architect Gil Hanse of Malvern, Pennsylvania, construction of the course began in 2001, with the layout opening in April, 2002. Rustic Canyon was named by Golf Digest as the Best New Affordable Public Course in America for 2002. It was ranked 76th in Golfweek's Top 100 Modern Courses for 2006. 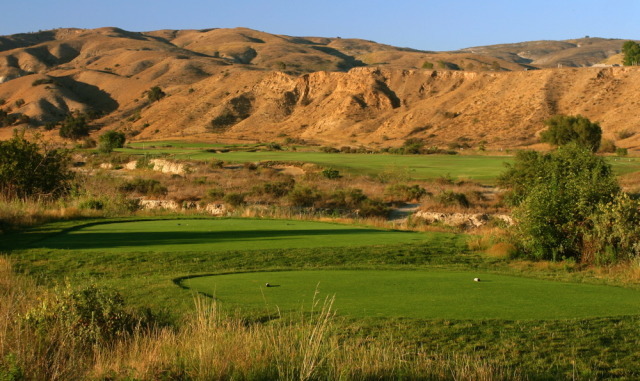 Rustic Canyon is also ranked 83rd in Golf Magazine's Top 100 You Can Play (2006). Another collaboration with Hanse and Jim Wagner produced the Horse Course at the Prairie Club (2009). A solo project overseeing the renovation of La Cumbre Country Club's bunkers was completed in 2009. And in 2010, a restoration of George Thomas's Los Angeles Country Club's North Course design was unveiled. Other design collaborations await: Querencia in Cabo San Lucas, Union Bay Golf Links on Vancouver Island, a fourth course for The Prairie Club in Valentine, Nebraska.